Hawaii is still on my mind after spending a few weeks there. I can’t decide if I am ready to move back although I am definitely considering it. We had such a great time and I keep having to remind myself that it could have been because we were on vacation. I know there is something extra special about the islands and I do miss it. I am just struggling with whether or not moving back now is the right thing to do. For now though I decided that I can just bring a bit of Hawaii back to our lives in Florida. The best way I can think to do that is through food. (And these). We had some of the best meals when we were there and I keep thinking about them. I already posted about Banan and I have a few other upcoming posts about some great breakfast places we loved. One of these places, called The Nook, in Puck’s Alley near the University of Hawaii at Manoa, had such an interesting menu….Lilikoi Pancakes, Mochi Waffles, and a Yogurt Parfait in a Papaya. I am working on trying to recreate the lilikoi pancakes this weekend. 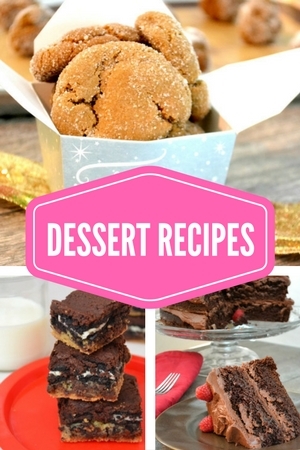 If I can get a good recipe, I will be posting it. 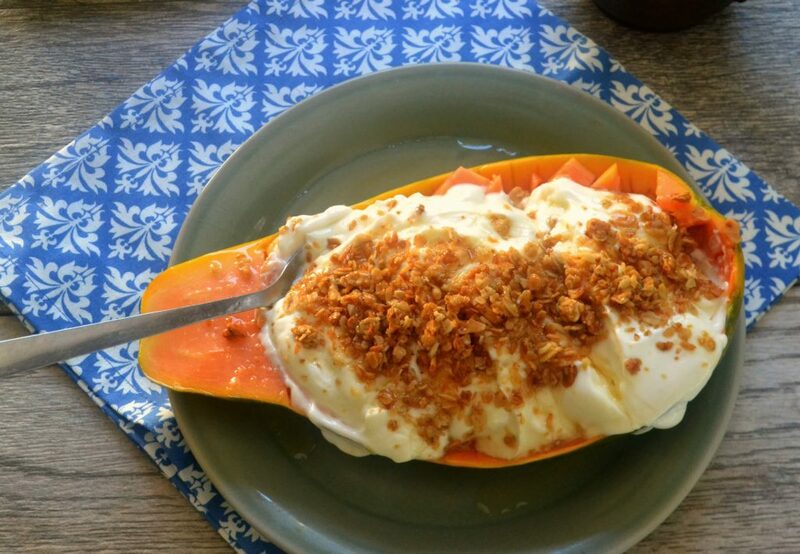 As soon as I saw the yogurt parfait served in a papaya–I knew we had to try it. I also kept the idea in my back pocket for simple breakfasts back home. 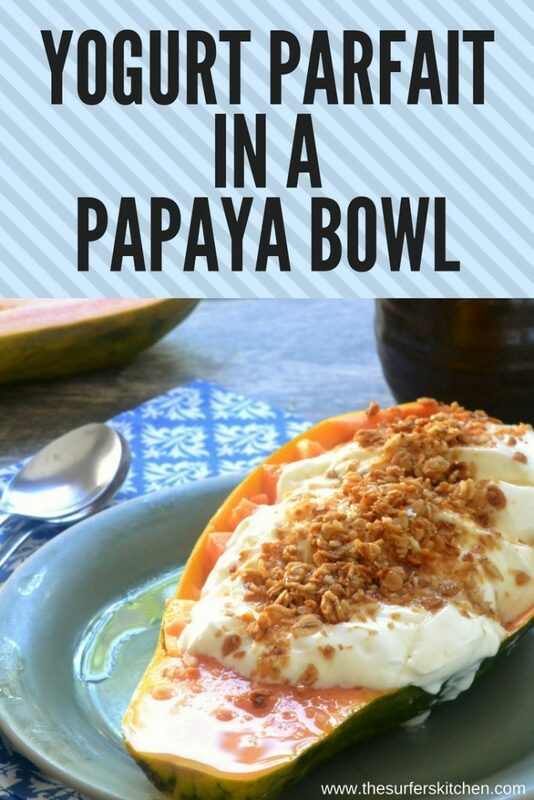 The yogurt parfait in a papaya bowl is such a great idea. Super simple. A beautiful presentation and filled with everything you need to get your morning started off right. Homemade Granola: For crunch and a bit of sweetness. Local Honey: I have been obsessed with sprinkling honey on everything lately. I made a cheese and honey sandwich the other day that may appear on this site soon. I added honey to my curry to tone down the spice. I am really loving honey right now. My papaya was extra long so I only used half of the papaya but the same amount of yogurt, granola and honey. It was plenty to serve two people. Add a bit of aloha to your morning! If you can’t be in Hawaii, why not pretend you are? 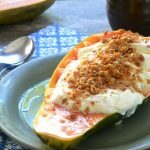 A light healthy breakfast that will sustain you well into the afternoon. Cut the papaya in half and scoop out the seeds. Lightly score the papaya so that each half is cut into small bite sized chunks. You may need to use a spoon to gently release the papaya from the peel. The papaya I used was really long and thin. I followed these directions to make a papaya bowl for two. 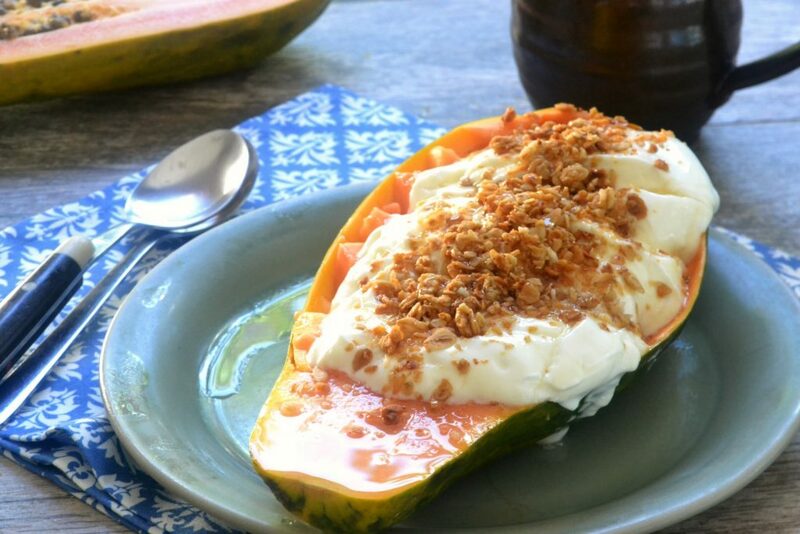 If you have a smaller papaya, use both halves and split the yogurt between them.